Following his excursion to La-La-land last month, the recent statement by Scottish Rugby Union CEO Mark Dodson that he would like to bring in more non-Scottish “project players” to plug gaps in the Scottish team ought to set alarm bells ringing for so-called ‘Tier 2’ nations. 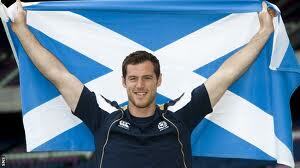 Dodson’s comments follow the successful introduction of Dutch winger Tim Visser into the Scotland team. McVisser, who has made an excellent start to his international rugby career, qualified to play for Scotland under the current 3 year residency rule and turned down the chance to play for his native Holland in order to represent his adopted country. The ramifications of this are obvious. What is to prevent Tier 1 nations from simply recruiting the best available young talent from “lesser” nations by offering young players development contracts in excess of the current 3 year eligibility period? It’s one thing to offer international rugby to southern hemisphere journeymen – it’s quite another to plunder the Tier 2 talent pool. 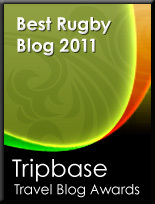 I have previously suggested that the IRB reviews the eligibility rules and considers adopting the system currently being operated by the England & Wales Cricket Board, namely that a player must complete a residence period of 7 consecutive years, unless he arrives in the country as an under-18 (where a 4 year period applies). On reflection this still may not be enough. What is clear, however, is that if the IRB truly wants a global game then Tier 2 nations will need better protection against their players being poached by the big boys – otherwise the gap between the ‘haves’ and the ‘have-nots’ will simply continue to grow. Were the 'project players' specifically suppoed to be from Tier Two nations or from say NZ, SA and Aus?? Either way it's not really right. They should focus on building their own structures to be able to produce homegrown talent. The coaching in Scotland seems to need to be revitalised too. (Although that criticism could quite easily be directed at England too). International rugby will never break out of the eight or nine team core and become a true international game unless changes are made. Trouble is nothing will change as its not in the commercial interests of the top nations to make any changes. While they can fill stadiums with endless rounds of NZ v SA v Aus, or the Autumn Internationals, why change? Only if rugby fans turned their backs on teams of imports would there be any change - and that will never happen. Perhaps everyone should recognise that Tier 2 teams will never be allowed to make the step-up and allow their players to play for their home nations without penalty while they qualify for the big boys. Whatever happened to: Rugby Boots?